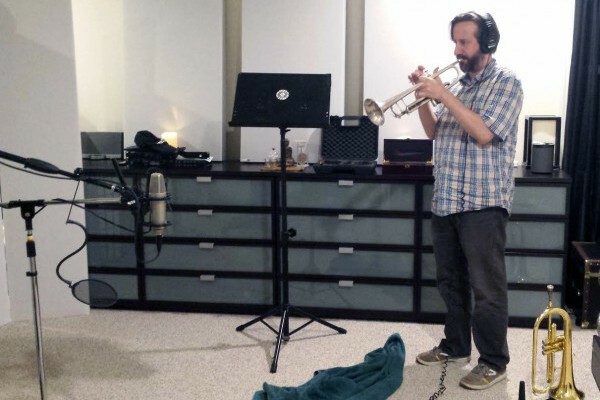 Anyone who has ever set up a home or project recording studio, or even a temporary on-location mix and recording solution knows the challenges that arise from the natural acoustics in untreated rooms. Undesirable flutter echo, comb filtering, frequency nulls and boosts can wreak havoc on your tracking and mixing process. 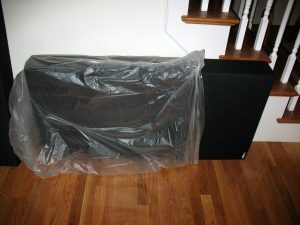 There are many articles and tutorials about building your own acoustic treatment panels to control bass buildup and mid to high frequency issues. But what about the people who do not have the tools, time, or ability to frame out bass traps and broadband absorption panels? At that point you are stuck trying to figure out what commercially available acoustic treatment solutions are actually any good. 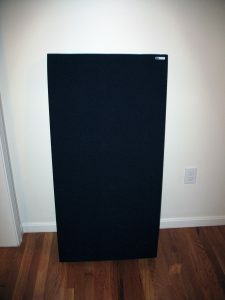 Local music shops will sell you foam panels and “bass” absorption wedges, usually Auralex brand, for hundreds of dollars. Now I don’t want to come down on Auralex too harshly, but let’s just say it has very little effect on the most troublesome frequencies. It looks fancy, and it definitely will cut down on high frequency reverb and flutter echo, but it really just doesn’t have the mass to help you with mid range absorption, and definitely will not solve your bass issues. The reason foam acoustic absorption solutions still sell on the market is because they are easy to install, and because of the high frequency absorption, they give you the impression that they are doing a lot. 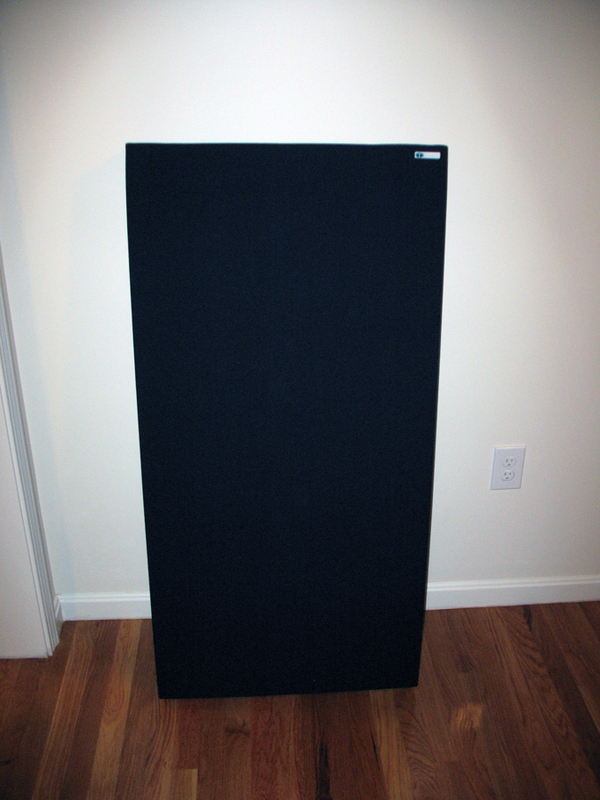 If you only need to solve some high frequency problems, a few foam panels may fix this for you, but for pretty much the same money, you could be buying broad band absorption panels like the GIK 242 Acoustic Panel or the 244 panel. The 242 panel will absorb frequencies across the entire spectrum, and the 244 panel will absorb full range as well as down into the bass range of the spectrum, which you may want for smaller rooms. Either panel will do a lot more to control the sound in your space than foam. I should point out here that I do not work for GIK, or have any relationship with the company, but I have purchased and used their products over the past few years in my control room and tracking rooms with great satisfaction. 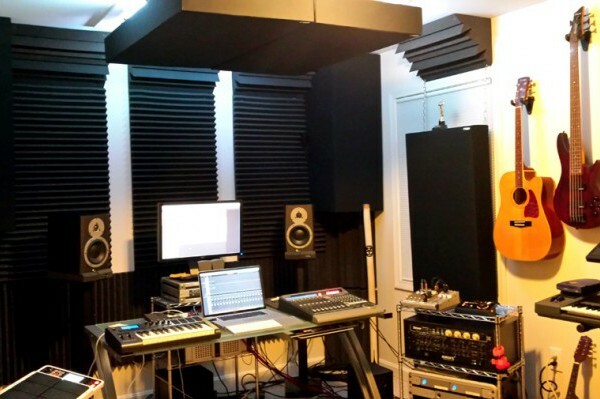 I use the 244 panels as ceiling clouds above my mix position as well as in my first reflection points, Monster Bass Traps with scatter plates on my back wall, and Soffit Bass Traps up the front two corners of my room. I also use the GIK Acoustic Screen panels in my tracking rooms as gobos wherever I need them, and another three 242 panels above the drum kit. I personally didn’t have the free time, nor desire to build my own panels, so GIK looked like a great option, and it was. 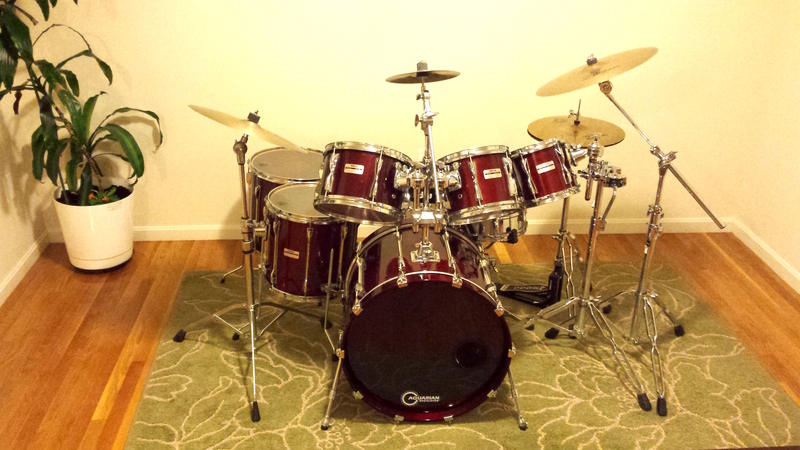 There are other similar manufacturers out there like Realtraps, but GIK’s prices are more affordable, and they are highly thought of on many of the musician forums like Gearslutz.com. Now you will also notice in the very first picture of the control room, that I still have Auralex corner bass traps up above the 244 panels on the sides of the room, and along the front top corners. 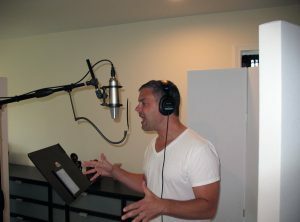 Sadly, I too bought foam solutions when I first started out, and when building my 3rd recording studio in the greater Boston area, I still had tons left over from my previous sites. This brings me to another thing I really loved about GIK Acoustics. When you are planning to buy from them you can set up an acoustic consultation over the phone to discuss your room, goals, and even share frequency measurement graphs with them if you have them. Gene Dante cutting vocal tracks with GIK Screen panels behind him. When I spoke with Glen during my consultation, we went over all of the details, and figured out what products would fit my needs. One of my final questions while I had him on the phone was: “Should I just toss out all of this Auralex foam?” He surprisingly said no, and that I could best use it in the top corners of the room in reflection points. Now I’m sure that he would have loved to sell me 8 more Soffit Bass Traps, but he worked with my budget limits, and helped incorporate what I already had on hand into my acoustic treatment solution. That is the attitude that won my loyalty. He wasn’t trying to just up-sell me at every opportunity, he really took my interests, issues, and limits into consideration and came up with a solution that worked for me. GIK acoustic absorbers delivered to your door. 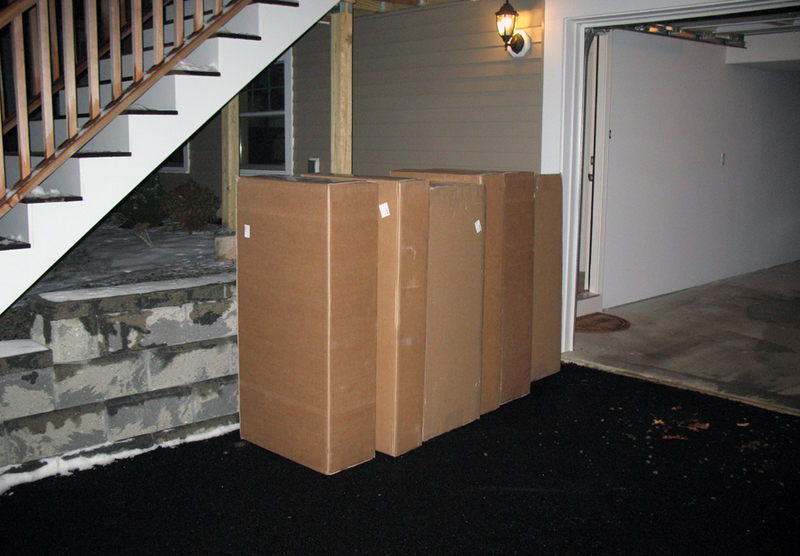 GIK builds to order, so once you make your purchase they construct all the panels for you, and ship them right to your door. 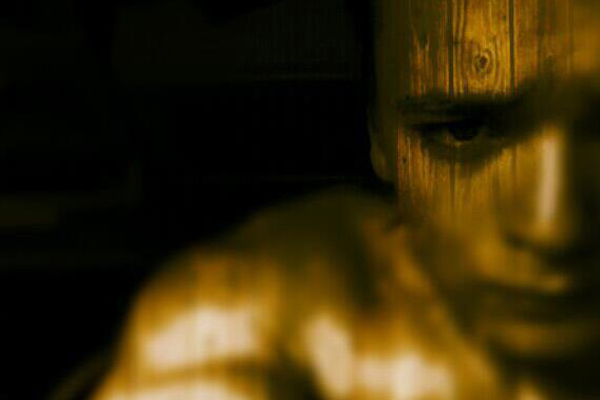 In my experience construction time has been one to two weeks, and then about five days to a week shipping time. Basically you get your panels custom made and at your door within a month of placing an order. That is a great timeline. It would probably take me about that long to find the spare time to build them myself if I were so inclined, and that would be time away from recording and mixing. Well worth the cost for me. Unpacking a GIK panel. During shipping they keep the panel dry and safe within a plastic bag inside the box. The build quality is phenomenal. I am a perfectionist and when I actually set aside time to work on something I expect to achieve a high quality finished product. 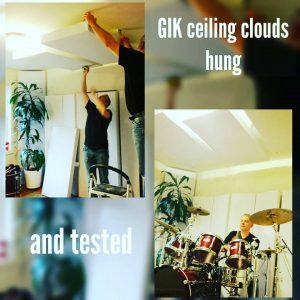 GIK Acoustics completely met the standards that I would have set for myself. Each panel was well joined, the corners were square, and all the fittings were exactly where they needed to be. The fabric was stretched, folded and attached meticulously in the corners, giving these acoustic absorption panels a clean and professional look. Once set up or hung in place they not only do a great job at controlling frequency response, but they look almost as good as they sound. If you are looking for acoustic absorption for your recording studio, listening room, home theater, or office environment I would highly recommend GIK Acoustics.